I keep busy sewing, knitting and a bit of quilting. 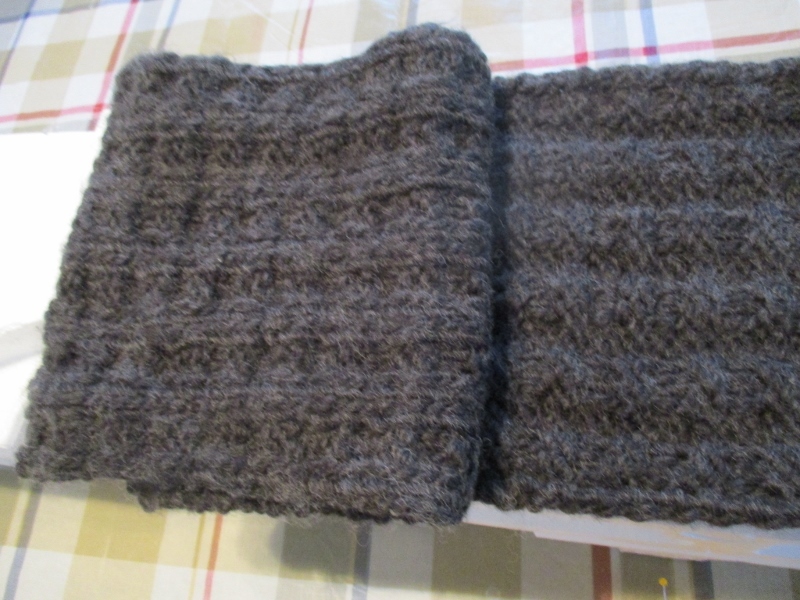 I haven't made a scarf in a long time but I found some really soft yarn that had wool in it and the label actually had a pattern for the scarf. 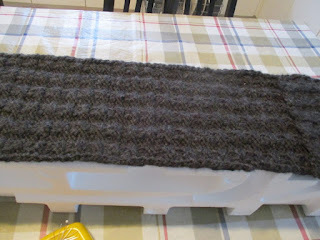 The yarn was so soft and since the scarf took two balls and it was thick, I thought it wouldn't take long to knit up. It curled a lot and so I thought I could block it. 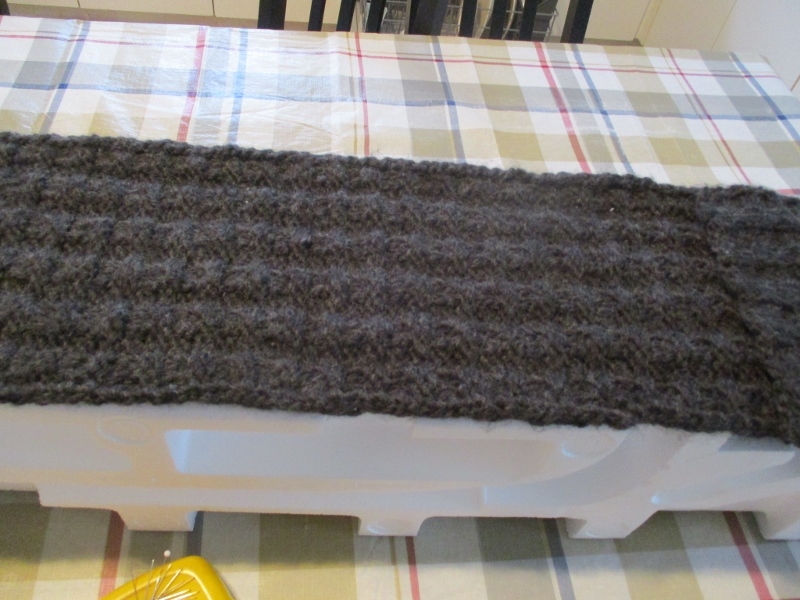 I couldn't find my foam squares but there was this long, thin piece of styrofoam that came with the new big screen TV and it seemed to be the perfect size in both width and length. 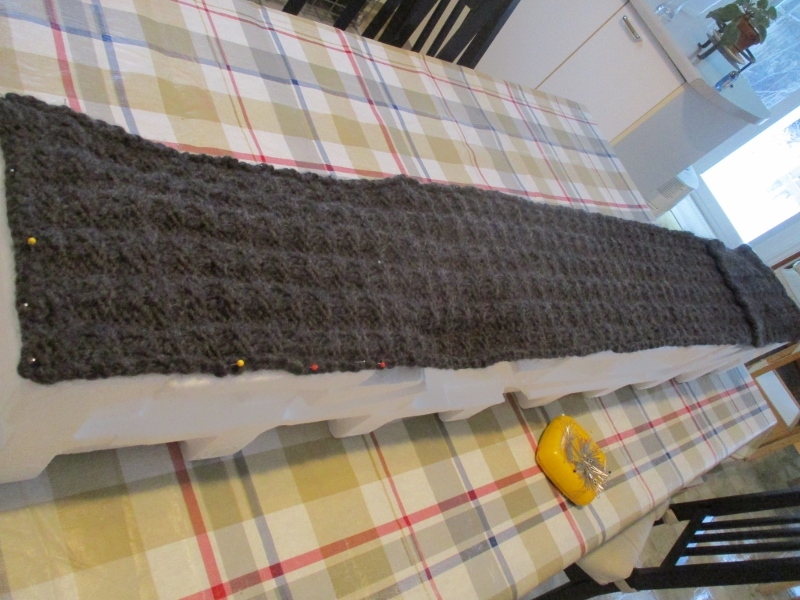 There is actually a front and back to the pattern which repeats every four rows. I made this for my eldest son, Mark, who went to the far, cold north (Yellowknife) just after the New Year. I am in the middle of several new projects and I like to keep things in one place. I found these at Dollar Tree and thought the colour coding would be perfect. The ones on the bottom on the right are shorter in height but wider and I thought it would perfect to use them for finished blocks. Love the scarf colour, and the plastic bins, I have similar ones,all clear. but can insert a cardboard label at the front. It is a lot better than the purple boxes I had. The scarf looks great and perfect for cold weather. 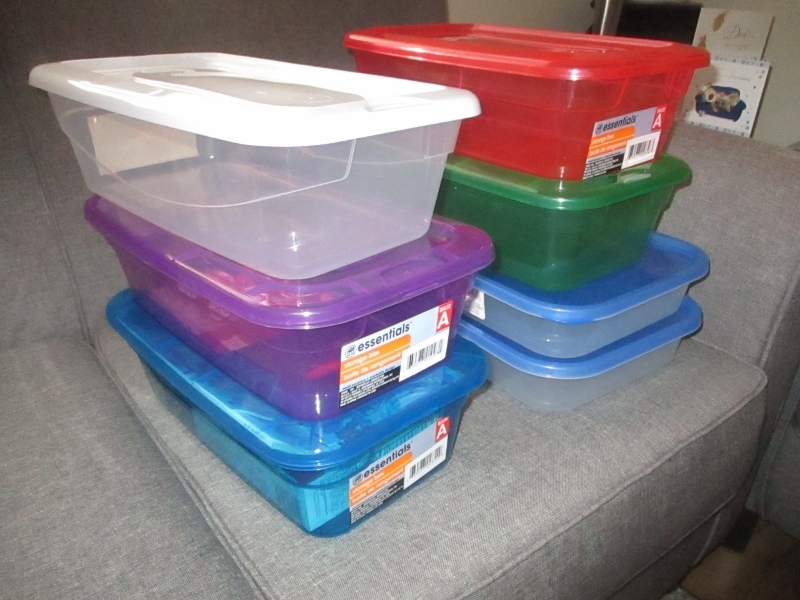 Plastic bins are my favourites for organizing things. It is hard to find pretty labels for them. Great scarf! Love your plastic bins. Must go to Dollar Tree and get me some.